Whether you have just arrived in Shanghai or have lived here for many years, it is difficult to tire yourself of traveling in the areas around this amazing city. However enchanting the city and its urban life might be, however, there are times when you may want some rest and relaxation in a more natural setting. Here is a list of our favorite destinations within a few hours’ drive in the proximity of Shanghai which are perfect weekend getaways for families and friends. Malu Vineyard was founded in 2005 with an initial area of approximately 33 hectares. It includes a research base and now has around 5000 acres of vines with a wide range of grape varieties, some established and some still experimental as part of the Malu Grape Research Institute. 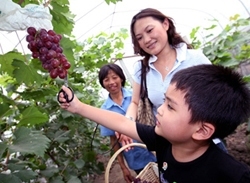 The institute is the first professional research organization in the suburban areas of Shanghai approved by the Shanghai Commission of Science and Technology, and it has successfully introduced 38 kinds of grapes since its founding. Jiading Malu Vineyard aims to foster public knowledge and enjoyment of grapes, and a "pick your own" section is also available. There are various other attractions including a Visitor’s Center, grape corridor, wine castle, “petite fruit orchard,” and other areas. There is also an annual festival held every late summer here. The vineyard is surrounded by other local vineyards and orchards that produce rich item including pomegranates, cherries, and other stone fruits. Some nearby farmers live in the area, and visitors may also have the chance have the chance to dine with them in their traditional homes. Get There: taking Nanjia Line, Beijia Line, Hutang Line, 822, or Sightseeing Bus Line 6, get off at Malu stop; taking Malu Bus Line 1, get off at Xiaojiazhai stop; shuttle buses from Shanghai tourist distribution center depart to Jiading Malu Vineyard on Tuesdays, Thursdays, and Saturdays. Only 35 kilometers from downtown Shanghai, Sheshan National Forest Park is located in the Western Shanghai district of Songjiang. The "mountains" (by Shanghai standards) are no higher than 100 meters at most, but this area is a pleasantly green and fresh contrast to Shanghai city. Covering an area of 401 square meters, the park consists of 2 main parks: West Sheshan Park and East Sheshan Park. East Sheshan Park features impressive bamboo shoots as its highlight; there is even an annual bamboo festival. 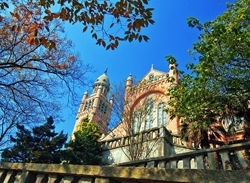 West Sheshan Park offers the best views among the 9 hills in Sheshan Park. The attractions you should not miss here are Marian Basilica, the oldest cathedral in eastern Asia, and the Astronomical Observatory, one of China’s oldest, built on top of the hill. As well on the south west slopes, this area is the sole source of Shanghai’s famous Longjing tea. 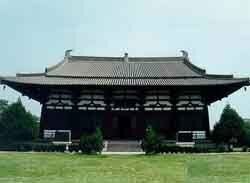 Another section, Tianmashan Park, was once home to many Buddhist palaces and temples. Huzhu Pagoda, built in 1079, now leans at an angle of 6°51&apos;52” (1° greater than the Leaning Tower of Pisa in Italy). Other parts of the park include botanical gardens, sand sculptures, butterfly garden, theme parks, and restaurants. The wildlife in Sheshan National Forest Park, especially the birdlife, thrives in the forest environment. Because of this, the park is very popular with the young people of Shanghai as a place to explore local flora and fauna. Yingdong Village, on the eastern part of Chongming Island near the north shore of the Yangtze River mouth, is the first place to see the sun rise in China and the third largest island in the country. Coming from Shanghai, the journey to arrive here is about 2 hours by car. This is a low-lying village with wooden boardwalks, bridges, and lagoons stocked with all kinds of fish. It also boasts tranquil and picturesque countryside scenery, and everywhere you go, there are flowers and fruit trees. A trip here makes for a unique rural experience. Visitors can try to step on a waterwheel, spin, weave, push a wheelbarrow, carry someone in a sedan chair, walk on stilts, go fishing, catch fish and crabs, and experience genuine country life. The island also boasts wetland preserves and a forest area. Get There: Chongming Yingdong Village is about 56 kilometers from Nanmen Port and 32 kilometers from Bao County; reach Bao County by traveling east along Chenhai Road. Hosted over an area of 358 hectares, Dongping National Forest Park is the largest manmade forest in the plains area outside of Shanghai on the northern side of Chongming Island. On the arrival journey, travelers can enjoy the view of green trees, clear lakes, and beautiful countryside. With such a pleasant environment, this park is suitable for engaging in all kinds of activities such as meeting loved ones, relaxing, barbequing, horseback riding, rock climbing, paintballing, and more. Walks among the carefully planned nature areas that include pretty plants, paths, flowers, trees, and wildlife areas are great pastimes. Bikes are also available for rental (both single and double rider types) at 10 Yuan per hour or 50 Yuan per day. 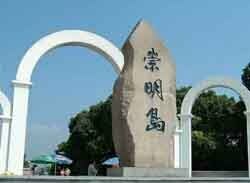 Changxing Island is not far from Shanghai. Known as “Longevity Island,” “Clean Island,” and “Home of Oranges,” the island hosts an Orange Festival every autumn and is one of the largest citrus growing production bases in China. 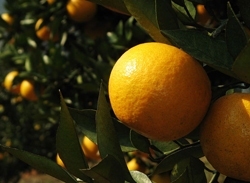 One of the main products is Qianwei Citrus which is bright, thin skinned, sweet, and very juicy. Visitors can pick oranges, taste the fruits, and visit the gardens. Sandwiched between Chongming Island and Pudong, the 76 square kilometer island has become a popular resort with a range of attractions and peaceful activities such as beachcombing or rafting through wetland marshes. A Mongolian village race track, Stunt City, golf course and various holiday resorts provide plenty of activity; The Citrus Resort in particular provides squash, swimming, rock-climbing, and other adventure activities. For those who like to eat, there are also opportunities to taste local products and dishes. Nearby Hengsha Island is also a popular destination and boasts a water park called Hawaii. The 2 islands together provide a pleasant escape from the city yet are still conveniently close to Shanghai. During the Chinese Cultural Revolution in 1972, the classical painter Wu Tongshang was sent to rural Jinshan, part of the Southeastern Yangtze area near Shanghai. Wu soon realized that the local farmers and peasants were naturally gifted at creating traditional handicrafts: embroidery, paper cutting, dyeing, sewing, wood carving, and so on. He recognized the innate artistic talent of the area and started teaching them to paint. Jinshan Peasant Painting style developed from this fusion of skills and has since become a famous style of folk art. There are now over 300 local painters in the area who work very hard to keep this new tradition very much alive. Their work has been exhibited internationally in places such as Japan, Europe, USA, and South America. Their work is very popular because it often reflects scenes from their everyday lives, using bold shapes and colors. 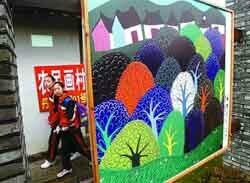 However, fame brings its own problems and there are many imitators, even those fakes selling as "Jinshan Folk Art", which naturally affects the genuine painters in Jinshan. Get There: 56km from Nanmen Port; 32km from Bao County; Get to Bao County and go east along Chenhai Road. 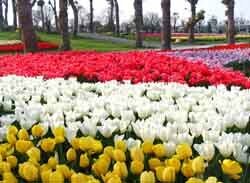 From mid-March until early May every year, over 3.2 million tulips of countless varieties open bloom at the Flower Port near Shanghai, making for a magnificent display. These gardens have been nicely landscaped, including waterways and windmills, and over 36 hectares of greenhouse exist to ensure that there are other flowers for visitors to see all year round. Between June and September, aquatic flowers are the highlights of the park’s display, followed by potted chrysanthemums from September to October. The Flower Port makes for a peaceful day out in a pretty scenic park that showcases modern horticulture. Get There: take Longdong Express Line at Longyang Road subway station or Zhangnan Express Line at Zhangjiang subway station. Shenlong Eco Park is an extensive park with a wide range of scenery including woodlands, lakes, islets, tree clusters, and wildlife. The swans are a great attraction on the Great Lake, as well as the chance to do some fishing or take a boat ride. There is a bird park and rural hamlet where visitors can check out the orchards, berry fruits, and other local produce, and even pick their own fruit in the right season. Landscaped paths and well tended plants make this park a delightful visit. Get There: take Line 8 and get off at Dashijie Station, then change to Nanshen Line and get off at Nanqiao County, finally change to West 5 B Line and get off at Shenlong Eco Park station.